The many colors of honey! Have you ever wondered why there are different colors and flavors of honey? Each kind of flower produces a different flavor and color nectar that bees use to make honey. We have different kinds of honey because honeybees are flower consistent. This means that instead of going from one kind of flower to another, (like from a sunflower to an orange blossom, and then to a clover flower) she will work one kind of flower on each trip until there is no more nectar in those flowers. When beekeepers bring their bees to pollinate a specific crop, like blueberries, the bees will only be visiting blueberry flowers, so it will make blueberry honey. 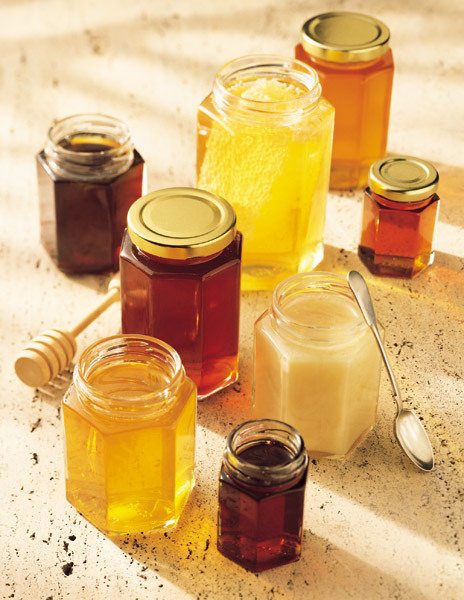 There are actually more than 300 different kinds of honey in America, and more than 3,000 kinds in the world! Each type of honey has a unique flavor and color. The color of honey can range from a clear “water-white” to a dark brown color. The lighter honeys have a mild flavor, while darker honeys have a strong, bold flavor. It’s fun to try different kinds of honey and taste and see the difference between each of them. Besides its deliciously sweet taste, honey also has many health benefits that make it good for you. Honey is a good source of carbohydrates. 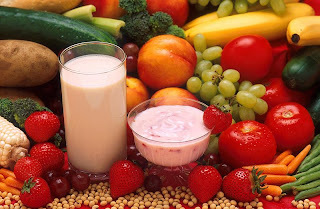 Carbohydrates are your body’s primary fuel for energy. This makes it a great energy booster! If you play sports, try some honey before your next game or practice to give you an extra energy boost. Many athletes and Olympians use honey for energy. Honey is also full of antioxidants which help protect cells in your body from harmful molecules. There are also lots of vitamins and minerals in honey. Vitamins and minerals boost your immune system, help you grow and develop properly, and help cells and organs do their jobs. Lastly, honey is antibacterial, so it kills bacteria and keeps you healthy. 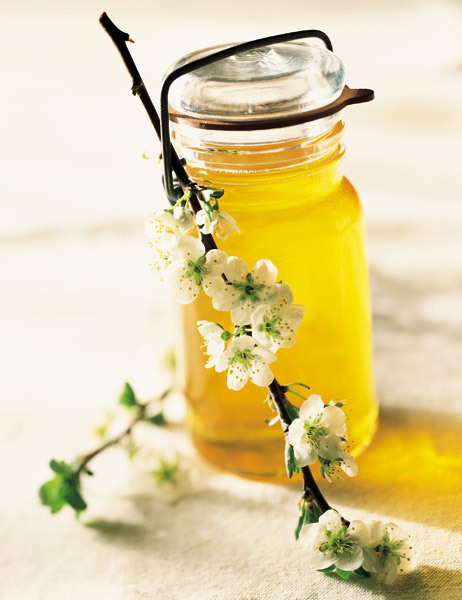 Honey is also wonderful to use in cooking, and is useful as more than just a sweetener. It can add a special touch to any recipe. With all the unique flavors to choose from, it can add great flavor to your recipes. Honey is a humectant, which is something that holds moisture and water, so it helps keeps baked goods moist and soft. Honey is antibacterial and antifungal so it keeps bacteria and mold from growing and helps baked good last longer. Honey is also an emulsifier and thickener. If you were to take water and oil and mix them together and shake it vigorously, little oil droplets are dispersed throughout the water. Then, if you let it sit, the water and oil will separate. What an emulsifier does is bind things together, so it would help that water and oil to mix together and not separate. Because honey is an emulsifier and thickener, it works well in sauces and dressings. Try this delicious and easy honey recipe to cool off and get energized this summer! Honey is a sweet addition to any recipe. In a small food processor or blender, puree the fruit for 30 seconds to 1 minute. Do not blend for too long or the puree will become too watery. In a measuring cup or bowl with pouring spout, stir together the yogurt and honey. Stir in about 2 tablespoons of the fruit puree. Taste and add more honey or fruit puree as desired. Pour fruit and yogurt mixture into popsicle molds, filling about ¾ of the way. Add wooden sticks and freeze for at least 3 hours. To remove: run warm water over the bottle of the popsicle mold and gently twist and pull out the popsicles.